Lou Parun, Dave Diver, Brian Peacock and Rod Stone. The Librettos were formed in 1962 while attending Rongotai College in Wellington. They played at several venues in Wellington before landing the residency at Teenarama. This club was to become the leading venue during the 60's. 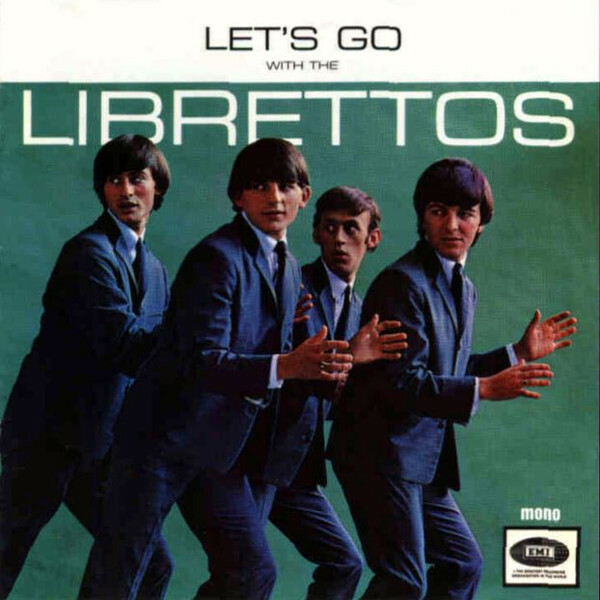 After building up a huge following during 1963, they were noticed by television producer Kevan Moore, and in 1964 the Librettos were engaged as resident band on his "Let's Go" pop show. Before this occurred, Gordon Jenkins departed in December 1963, and was replaced by an opportunistic Christchurch drummer, Dave Diver. Johnny England was the next to leave, as he didn't want to be involved full-time at that stage. He did actually release a single a year later as Johnny England and the Titans. The Titans were actually the Premiers in disguise. The single was "Jezebel"/"Linda Lu", released in 1965. His place in the Librettos was taken by Lou Parun, who himself had released four singles on the Lexian label in 1962 and 1963. Lou was playing music in the late fifties with Dave Brown of the Avengers in a schoolboy band called the Vampires. He went solo at the beginning of the sixties and released his first single "You Know What I Mean"/"One Last Kiss" in 1962. "You Know What I Mean" was a cover of an English recording, written by somebody called Peacock, not the future Libretto, Brian Peacock. On his second single of 1962, "Why Little Girl"/"It's You", he was backed by the Premiers. This was followed in 1963 by "A World I Can't Live In"/"Outsider" on which he was backed by the Librettos. He did one more single in 1963, "Lonely Boy"/"Like I Love You" before joining the Librettos on rhythm guitar and vocals. Lou also contributed four tracks from his singles to the "New Zealand Hit Paraders" album that Lexian put out in 1962. Paul Griffin also left and he was replaced by Brian Peacock on bass. Brian had previously played with Nelson's Downbeats. Roger Simpson left and was not replaced. Roger released a single on the Lexian label in 1962 called "Somebody To Love"/"Sleepless Nights" under the name Sammy Rodgers. With his departure, this only left Rod Stone from the original line-up. Rod had also released a solo single on the Lexian label in 1962 called "Skye Boat Song"/"Friendly Persuasion". With this line-up in place, their sound now became a combination of beat and R&B. In 1964 the group was signed to HMV Records and soon the singles started coming. The first was "Funny Things"/"I'll Send It Your Way" in 1964. It was closely followed by "Young Blood"/"That's Alright With Me", "Baby It's Love"/"Great Balls Of Fire", and "It's Alright"/"Walkin' The Dog". 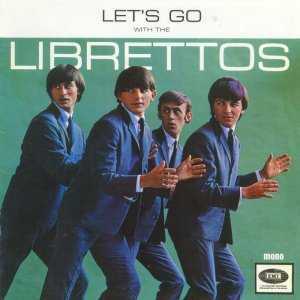 In 1964 they also released their only album, "Let's Go With The Librettos". It contains the song "Let's Go", which interestingly is probably their best known song and was never released as a single. In 1965 they were offered another season with the TV show, but turned it down in favour of going to Australia, like most other New Zealand groups of the time. The Librettos relocated to Sydney in March. The going was extremely tough as they were suddenly competing with hundreds of other similar groups over there. Dave Diver called it quits in September and returned to New Zealand, where he was quickly snapped up by the Countdowns. HMV released an Australian only single in 1965 "Great Balls Of Fire"/"Twilight Time", while in New Zealand they released "Ella Speed"/"I Want Your Love", which was recorded in Sydney in September. Dave Diver was replaced by an Australian drummer, Craig Collinge. By November 1965 they were starting to make some impact in the Sydney region and began getting regular work. They returned to New Zealand over the Christmas period and did a small tour to packed houses. They were acknowledged as being New Zealand's best group in 1965. Returning to Australia they were offered an opportunity to record on Ivan Dayman's Sunshine label. The first single was "I Cry"/"She's A Go-Go" and this was followed by "Rescue Me"/"What Do You Want To Make Those Eyes At Me For". Both singles flopped and at that point Lou Parun decided that it was time to quit. In April 1966 he returned to New Zealand and retired from the music industry for good. The remaining three looked around for a replacement, but in the end decided to stay as a three piece and relocated to Melbourne. There they recorded another single, "Kicks"/"Whatcha Gonna Do About It". This was their last released single and although it received good airplay in Melbourne, it didn't sell well. 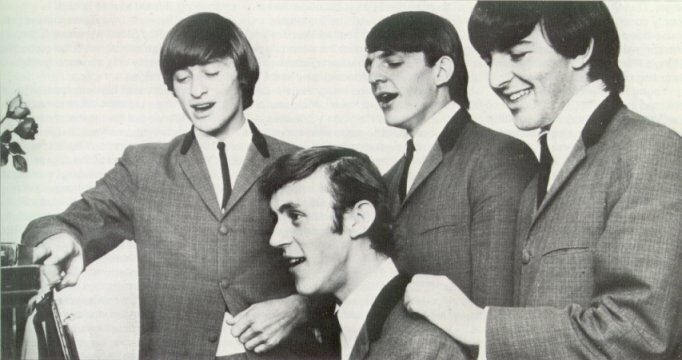 When Normie Rowe, who was also with the Sunshine stable, asked Brian Peacock and Rod Stone to join his backing band, the Playboys, for an assault on the British scene, the Librettos ceased to be. In August 1966, they made their last recording, "It's Loving Time", but this remained unreleased until 1997. Normie Rowe's assault was unsuccessful and Rod Stone returned to Australia and joined up with another New Zealander, Peter Williams, from Max Merritt and the Meteors, to form the Groove, while Peacock went on to co-found Procession in 1967 and then had a stint with Gerry and the Joy Band in 1971. These two groups endured reasonable success in Australia during the sixties. Rod Stone is still actively involved in the music industry. Check out his own wonderful web page and CD's at Rod Stone. In 1997 EMI released a CD compilation using the same cover as their only LP, which contained the entire "Let's Go With The Librettos" album and all of their singles except for one. The only one not there is the "Rescue Me"/"What Do You Want To Make Those Eyes At Me For" single.